Ruckus continued in the Rajya Sabha on the last day of Winter Session as opposition parties objected to extension of the session by a day. As the House commenced, Minister of State for Parliamentary Affairs Vijay Goel said that the government ‘wants to extend the functioning of the House by a day as there are important bills to be passed’. 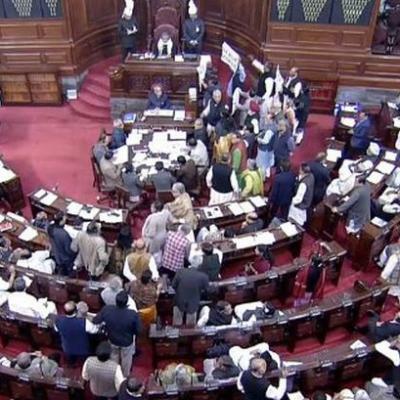 The RS was supposed to take up the bill supporting introduction of the 10 per cent quota for economically backward sections of upper castes and Citizenship (Amendment) Bill 2019, both of which were passed by the Lok Sabha on Tuesday. “The situation now is such that there is no dialogue between the Opposition and the government. The government is foremost responsible if the House doesn’t function,” Sharma said. However, opposition members continued protesting and some members trooped into the Well, shouting slogans.